Bowhouse will welcome spring with a New Beginnings themed Food Weekend on the 9th and 10th of March. 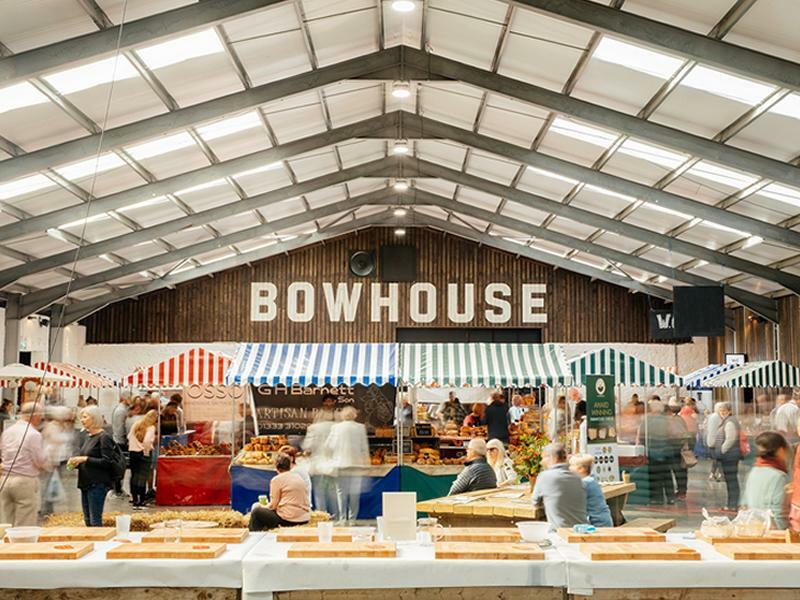 Bowhouseâ€™s resident producers will be joined in the covered market area by some of Scotlandâ€™s best food and drink stalls, selling everything from meat and seafood, to cheese and charcuterie. While charity partner Marie Curie will have a host of spring activities, including daffodil planting, for everyone to get involved with. Saturday 13th and Sunday 14th April, 10am - 4pm. On 13th and 14th April the Bowhouse Food Weekend will be a celebration of Easter, with a focus on fish and shellfish. Scotland boasts some of the best seafood in the world, and local fisheries and producers from the West Coast to the East Neuk of Fife will take centre stage at Bowhouse’s food market, with some seaside themed activities from charity partner Anstruther Improvements. Saturday 11th and Sunday 12th May, 10am - 4pm. At May’s market, Bowhouse will mark the end of spring and the beginning of warmer weather, with a Food Weekend themed around the soft fruits for which Fife is famous, on Saturday 11th and Sunday 12th May. Expect plenty of fresh produce from berry fields on Bowhouse’s doorstep in Fife and beyond. Visitors can also attend informative activities from the month’s charity partner, the RSPB. While we take every opportunity to ensure the details for Bowhouse Food Weekend are accurate, we always advise that you contact the event organiser before setting out for the event to avoid disapointment. Come along to The Scores Hotel on 26th April for a rare chance to compare 13 wines from South Africa and France with Master of Wine Rose Murray Brown as your guide.